Astrophysicist Neil Degrasse Tyson threw major shade at President Trump when he first heard the US was poised to pull out of the Paris Climate Accord. In case, you need a little refresher, the climate accord is a monumental agreement reached by 195 countries to mitigate greenhouse gas emissions with the hope of reversing the effects of global warming. Initially, the only two countries not involved in the agreement were Syria and Nicaragua (and Nicaragua didn’t sign because they felt it wasn’t stringent ENOUGH on standards.) The United States used to be part of this agreement. That is, up until a few days ago. And well, many people jumped into the fray, backing up the popular astrophysicist. You have science on your side. Trump and the lunatic fringe have only covfefe on their side. @realDonaldTrump when one of the preeminent astrophysicists of our time tells you a thing, you NEED TO LISTEN. He's not making it up. Who knew this moment could work for so many situations? These Tweeters aren’t the only ones who are displeased with the US withdrawal from the Paris Climate Accord, of course. 187 mayors, who represent more than 52 million Americans, have ignored President Trump’s decision and pledged to adopt and honor the guidelines set forth in the accord. Yeah, we kinda love that. The Earth needs us. We’re happy to see humans rising up to help save her. 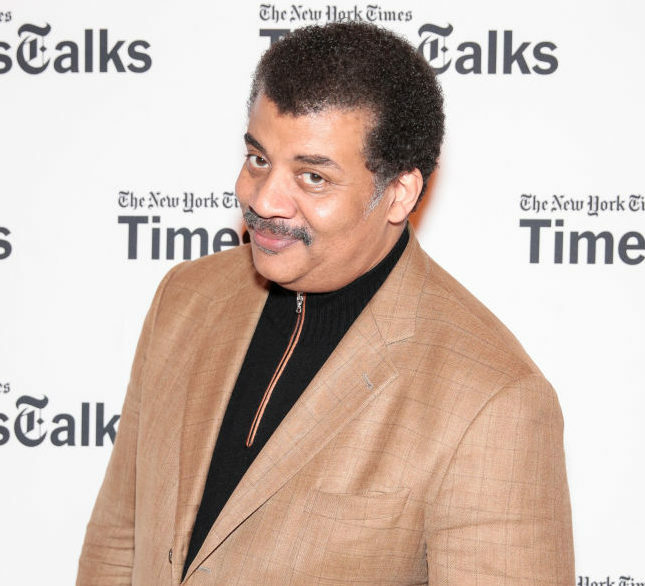 As for our friend Neil Degrasse Tyson, of course, the man is a passionate advocate for scientific learning. Rather than believing that science teaches you to blindly accept what scientists claim, he instead insists that it gives you the tools to accurately question and measure any statement. "Scientific literacy is an intellectual vaccine against the claims of charlatans who would exploit ignorance," Tyson told USA Today, recently. "That's why I am an advocate for science." We could all do with fewer charlatans.